The catfish dinner plate is $10 for adults, and $5 for children. It includes catfish, fries, hush puppies, a drink, etc. 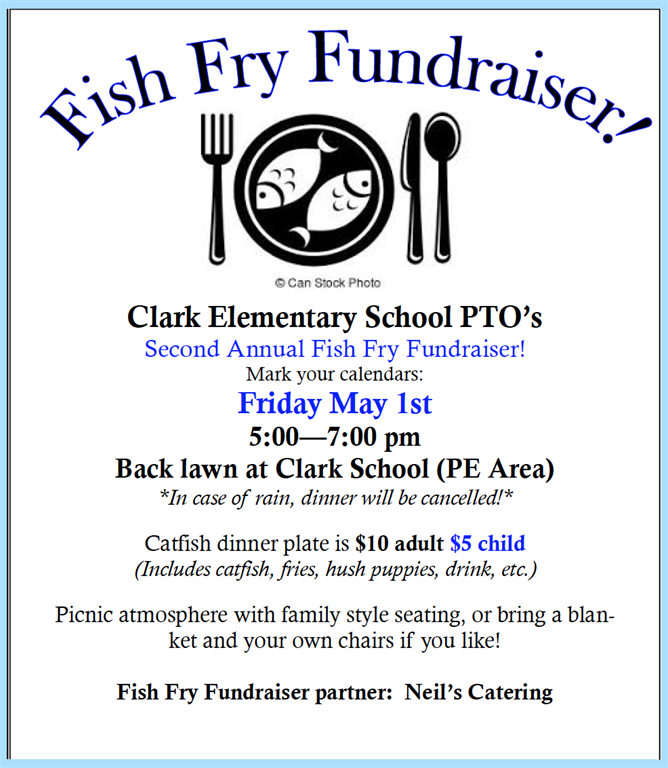 The fundraiser will have a picnic atmosphere with family style seating. Attendees are welcome to bring blankets and chairs if they like. RSVPs are not necessary. Everyone is invited to attend!